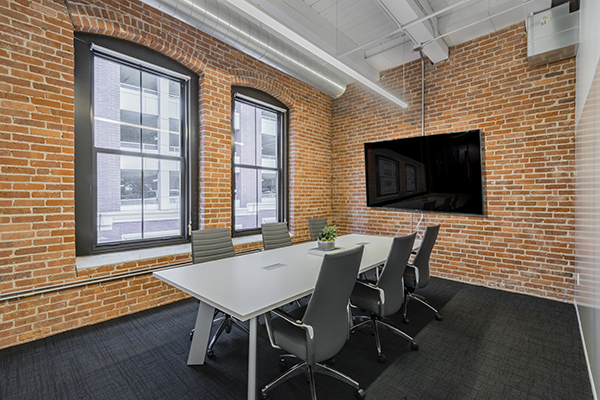 Seismic Software hired Redgate as their Owner’s Project Manager to assist in the relocation of their Boston office to 25 Thomson Place in the Fort Point district where they leased 30,000 SF to help allow for future growth. The design consisted of perimeter offices, workstations, conference and collaboration spaces, as well as a large pantry/kitchen area. 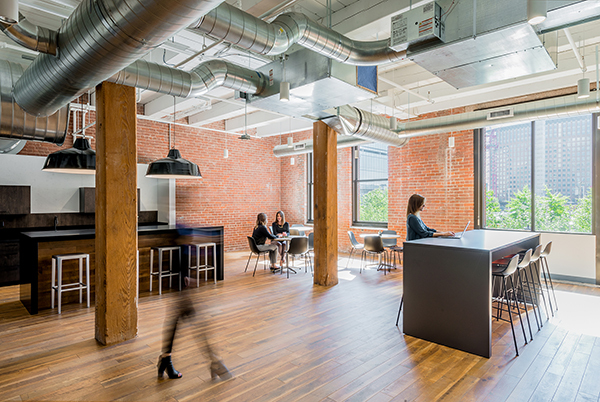 The team leveraged the existing conditions of the building, such as the unique elements of the brick and beam construction, to both save on costs and create an inviting and flexible work environment. 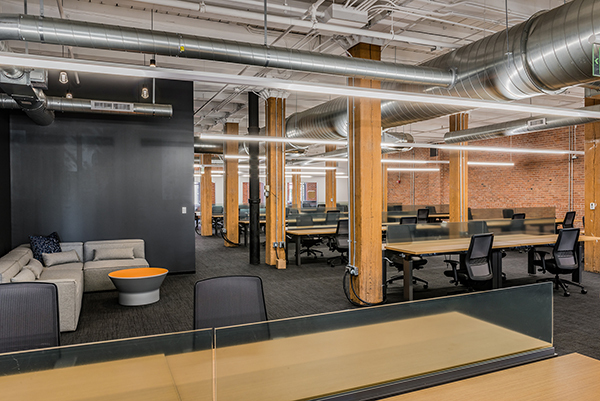 Due to existing lease obligations, Seismic had a 6 month window to design and complete the construction of their new space, which Redgate managed with ease. Redgate’s services included helping with lease negotiations, budgeting and schedule management, assembling and overseeing the design and construction team, and managing all phases of the project from design through occupancy.